Lynchburg Mold Inspections Testing: Is Professional Mold Testing Necessary? If visible molds are present, professional mold testing can be helpful for several reasons, although it is not always necessary, especially since there are no Federal or State occupational or environmental limits for exposure to mold spores at this time. Surface or air sampling can be beneficial to inform your allergist what species of molds you were exposed to. Mold testing may also provide valuable information to the company removing the molds so they know what they are dealing with. 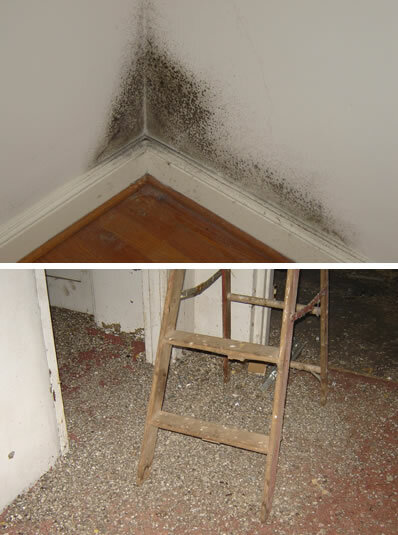 Testing also may be performed at the completion of mold remediation to determine if an area has been properly cleaned (a procedure known in the industry as “post mold remediation verification or PRV”). Before you hire someone to assess your mold situation, be sure to check their experience and credentials. We also recommend you ask for references. Although there are no federal standards that must be met for mold inspectors, Virginia, and several other States, currently require that mold inspectors are licensed. There are experience, training and examination requirements to obtain these licenses, as well as professional ethics and protocol standards necessary for licensed individuals to keep these licenses. Choosing a Licensed Mold Inspector offers assurance to the home or building owner that the mold inspection and assessment will be performed by an experienced and well trained professional. Now Offering Lynchburg Mold Testing and Inspections! Environmental Health Consultants, Inc. now offers Lynchburg mold testing and mold inspections for your home or business! Call us today for an appointment at 434-962-8721 or 434-977-1409.